Friends, here is some good news to get excited about: Equal Citizens is announcing a series of town hall conversations with presidential candidates geared around fixing our broken government. Reforming our democracy should be front and center in the next election, and we’re going to do our best to make sure it is. And you can help be a part of it. Most voters agree: Our government is broken. The wealthy bankroll our elections, skewing policies in their favor. Voter suppression plagues our elections, as new tactics are devised to keep millions from voting. The outdated system of a winner-take-all Electoral College means that not everyone has an equal say in who is elected president. And partisan gerrymandering has reached historic levels, rendering most congressional and state elections uncompetitive. No wonder so little gets done in Washington — and whatever does get done just favors special interests and not the people as a whole. In 2016, despite overwhelming evidence that our democracy is broken and our government can barely function, presidential candidates all but ignored the problem. Sure, some candidates claimed that “system is rigged” and that the “swamp” needed to be “drained”, but there was virtually no substantive discussion about what to do about it. And now the situation has gotten even worse. Dark money is on the rise, voter suppression has become more rampant, and gerrymandering continues stronger than ever. If we are going to fix our democracy and restore government by the people and for the people, our movement for reform must grow. Democracy reform must central to the national political conversation. For this to happen, politicians — including presidential candidates — have to become pro-democracy leaders. Unfortunately, the media and top political consultants treat democracy reform as a secondary issue, ignoring it during debates and interviews. Equal Citizens, with the support of the Leadership Now Project, has therefore decided to provide candidates with a venue to focus only on democracy reform, and to do so in an in-depth, intelligent manner. We will be holding town halls across the state of New Hampshire with presidential candidates that will exclusively focus on the problems in our democracy and solutions to fix them. By harnessing the attention given to New Hampshire with its first-in-the-nation primary and by bringing together social, civic, and religious organizations, we hope to ensure that the issue remains central in the upcoming presidential election. Our first town hall will take place at Concord High School (170 Warren St, Concord, NH 03301) on Sunday April 7 starting at 3:00 pm. Presidential candidate Andrew Yang will be our first guest. If you would like to RSVP, click here. For a full list a town hall events, click here. If you would like to receive updates about Equal Citizens town hall series, subscribe for updates here. We hope that you will join us as we make democracy reform central to the 2020 presidential election. 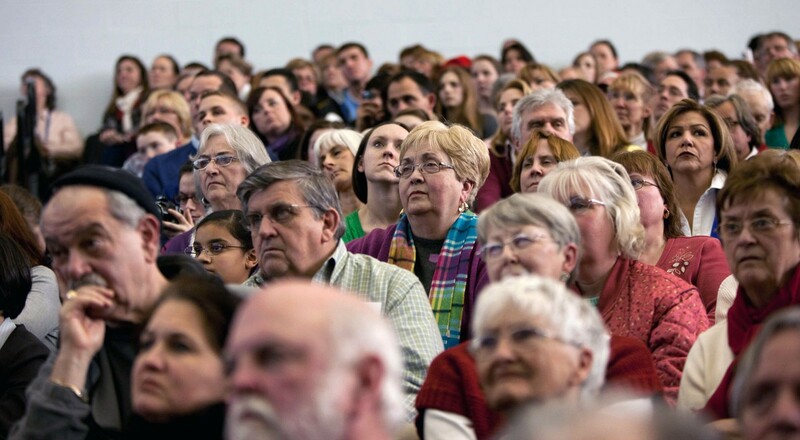 This Democracy Town Hall Series is co-sponsored by New Hampshire Independent Voters, NH Labor News, NH Ranked Choice Voting, Fix It America, The Committee for Ranked Choice Voting, NH Voters Restoring Democracy, Open Democracy, Stamp Stampede, and UU Action of NH.